As budget cuts and staffing shortfalls plague law enforcement agencies nation-wide, community members worry that programs such as Neighborhood Watch, which are designed to build bonds between neighborhoods and police, will be negatively impacted. Community concerns are well-grounded, as many departments have cut or are cutting community-based programs to make up for shortages in first-responder positions—an impact of significant budget deficits. Clearly, at this time of economic crisis, law enforcement executives must be even more cognizant of these concerns, and they must make every attempt to support community members and officers working to develop these strong community liaisons. As the economy wanes, law enforcement executives and citizens fear an increase in crime that will directly impact neighborhoods. Across the nation, police chiefs and sheriffs are expressing their concern that the falling economy will directly affect crime rates in their areas, especially crimes traditionally considered to be quality-of-life-type crimes. Foreclosed properties across the country continue to leave vacant buildings in once-thriving neighborhoods. As homes are boarded up and if no action is taken to maintain the property, then vagrants, vandals, and drug users take up residence in those structures, often damaging the property. Firefighters are being asked to assess deteriorating homes and to look for fire hazards that could threaten lives and other properties. Providence , R.I. , Police Chief Dean M. Esserman said that there used to be “a lot of communities where there was homeownership, where neighbors were coming together, and then they were gone, and the house is boarded up.” ( The Provident Journal , Amanda Milkovets, staff writer) Without strong neighborhoods supported by local public safety initiatives, residents still living in those communities will be confronted with daily threats to their safety, with little recourse or response. This is not only a phenomenon of the Northeastern United States . On a trip to Arkansas, to facilitate the Neighborhood Watch Toolkit training brought about the same discussion by police officers, deputy sheriffs, and community members alike. Most of the attendees commented that foreclosed homes are breeding grounds for criminal activity, which can directly impact the surrounding neighborhood. Although nationally, criminal justice researchers are reluctant to attribute increased crime trends to an ailing economy, local law enforcers across the country see a correlation as crimes increase in their jurisdictions. As crime trend data is released to communities, it raises fears that crime will increase, making demands for police service even more taxing to agencies that are already suffering from staffing and financial deficits. A review of proposed budget cuts nationally shows a trend toward reducing or eliminating community service positions in law enforcement agencies. In Montgomery County , MD , budget proposals recommended the complete elimination of the Community Services Division of the police department. 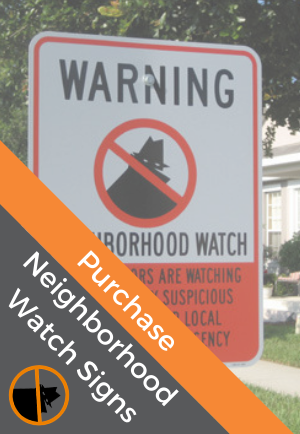 Officers assigned to work with neighborhood groups to develop programs such as Neighborhood Watch would be reassigned to patrol positions. "If I go back to patrol, there's no more Neighborhood Watches. That's it. We're the only ones trained for that. If anything, with the economy the way it is, we need more eyes and ears out there, and not less,” said Officer Diane Tillery, the community services officer for the 6th District. 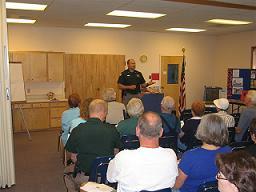 Tillery has organized Neighborhood Watch programs in Montgomery Village , Md. Montgomery County is not the only jurisdiction considering such budget cuts. Throughout the country, officers are talking about the decreases in community policing positions in their own departments and the increased concern from local communities. Law enforcement executives are in a difficult catch-22 position: They are forced to propose cuts to public safety that will have a definite impact on their communities, and community members are demanding more services as crime and quality-of-life issues are on the rise. Whether economic-related or simply the current trend, increases in crime require more than just additional officers on patrol to answer calls for service. 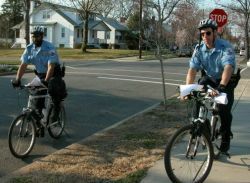 Real crime issues are addressed most efficiently when the community and the police work as partners. When there are too few officers to go around, it is even more critical for law enforcement executives to place a strong emphasis on programs such as Neighborhood Watch. Education is the key to helping community members be better prepared to address crime concerns, and to better report real crimes, leading to a decrease in calls for service, and more resources can be provided to communities to address other concerns.